"Deliciously delicate & smooth with just a hint of brine. Plump meat, a sweet & creamy flavour building to a subtle honeydew finish." 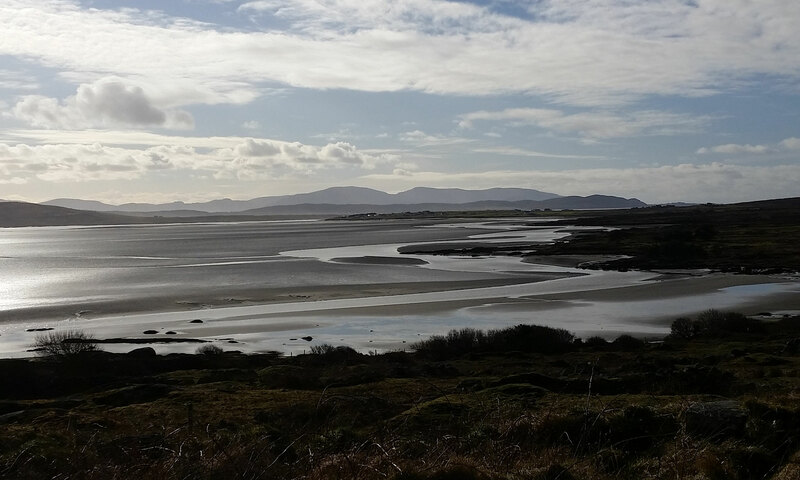 Since oysters are reared in the wild, they take their food from the waters they are grown in - and Donegal is surrounded by mile after mile of pure, unspoilt, naturally fertile waters. All our suppliers are family owned and run businesses, many of them having been passed down through the generations. 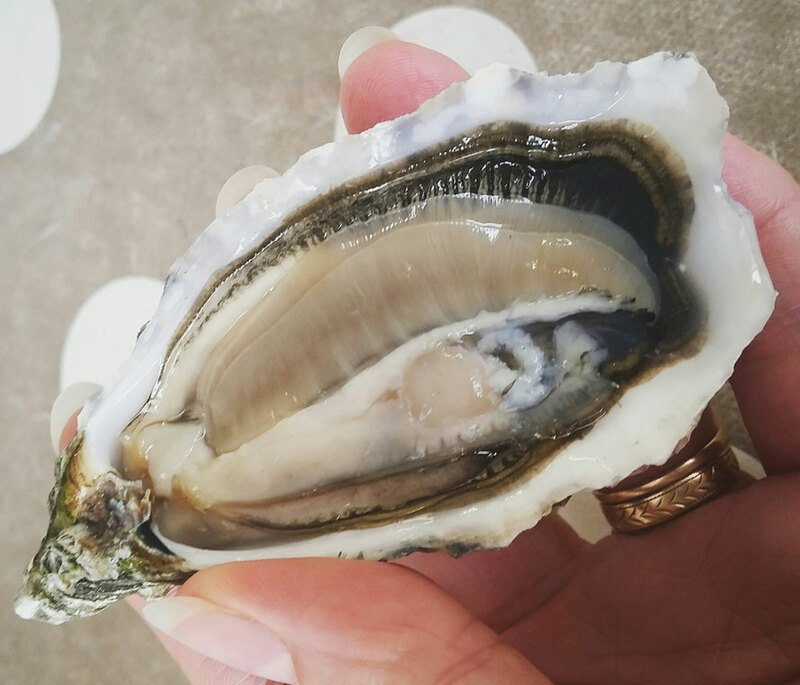 Because we at Atlantic Fish are supplied by a variety of oyster growers, we always have tested and approved oysters available. Even though traditional methods are used for growing and harvesting, we also use the very latest technology available to meet all health and safety requirements. 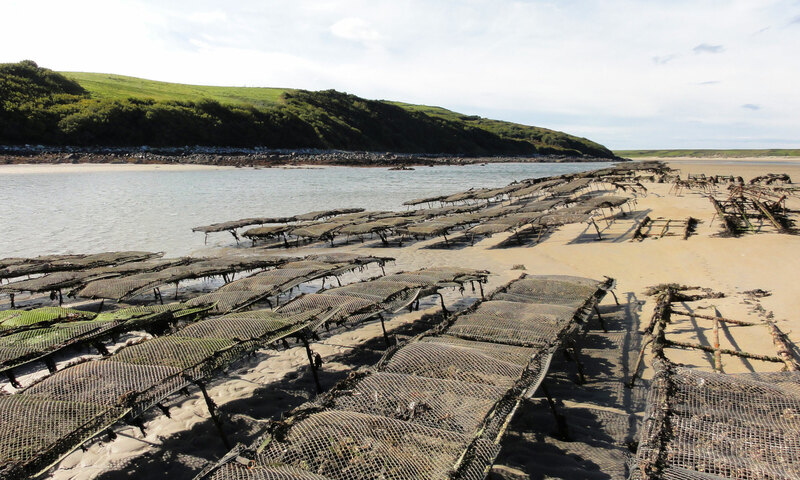 Our products and waters are regularly tested throughout the process by the Irish -government appointed Sea Fisheries Protection Agency and our purification plant is regularly inspected and approved by them. All the oysters we sell are tested prior to harvesting by the Marine Institute. Traditional wooden boxes for 50, 25 or 12 pieces. 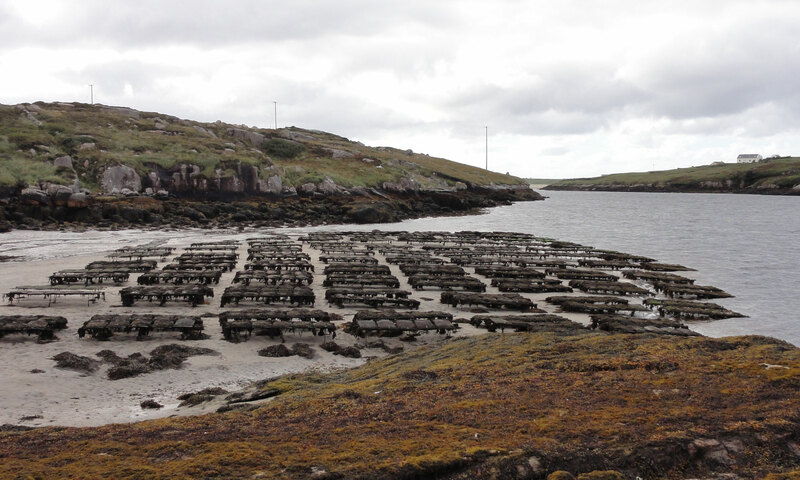 In Donegal our bays are semi-sheltered, but still open to the rough tides of the Atlantic Ocean. 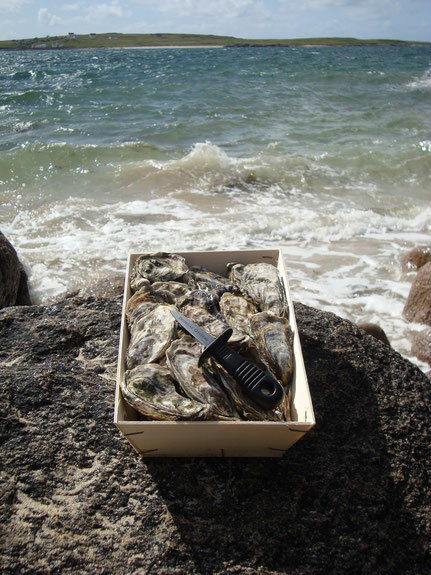 These rough tides contribute to the hard shell associated with our oysters. The result of this is a considerably longer shelf life - up to fourteen days when kept under the correct conditions - and a very low mortality, something our customers find highly favourable. Another benefit of the pure growing environment that our oysters enjoy is the amazing flavour it produces in our oysters, viewed by many as the best in the world! 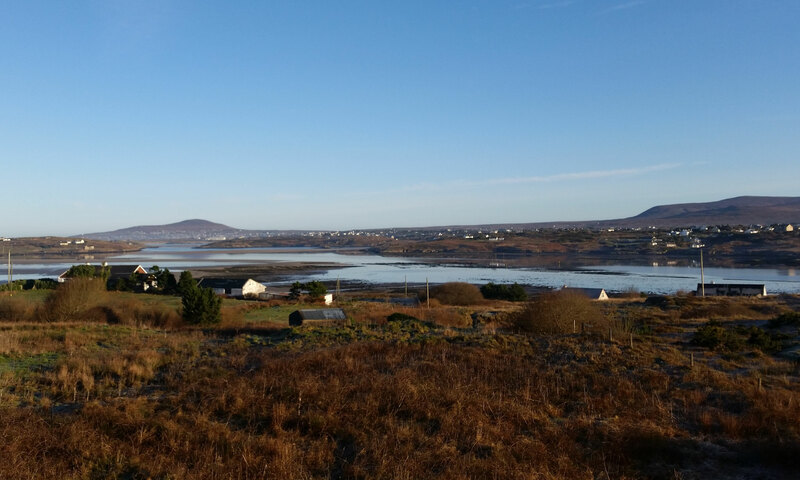 Because Donegal has a rural population with no large cities, no motorways, no polluted rivers, no yachting marinas and very limited industry, we have as a result some of the cleanest bays in Europe. There is no overcrowding of oysters in the bays, resulting in bigger, sweeter, more succulent meats. Tasting is believing! 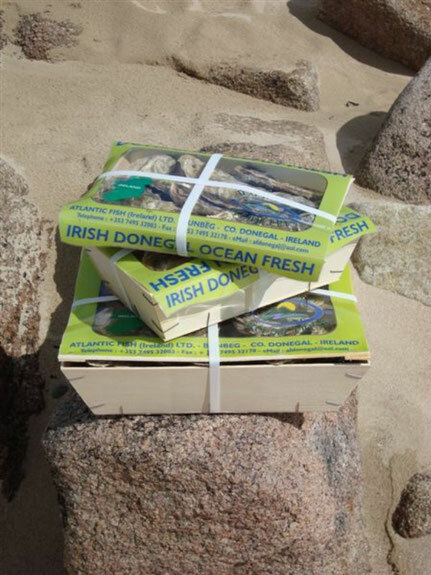 At Atlantic Fish, Donegal Oysters leave us ready for consumption. No further processes or re-packing are required by the wholesaler. Refrigerated road delivery is used throughout Northern Europe as well as airfreight worldwide. Contact us now!